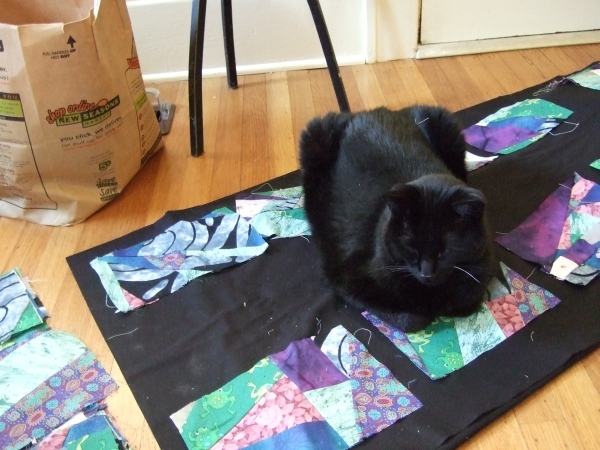 His fine bed is my stole project–eight patchwork stoles made with wildly dissimilar fabrics for a group of eight seminarians (me and seven others). I have at long last finished the patchwork and was just beginning to attempt a layout. He thought a layout would be an excellent idea.